NC State Poole College of Management accounting students are again providing free online tax return assistance for individuals and households using the MyFree Taxes website. The service is a free, safe, open to the public and easy way for those earning less than $66,000 to file their federal and state tax forms online, prior to the April 17, 2019, deadline. 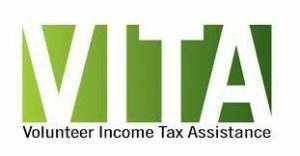 The Poole College students have been certified to provide this help through the Internal Revenue Service’s Volunteer Income Tax Return (VITA) program. The VITA team cannot assist with preparation of 1040NR (nonresident aliens) returns. International students and scholars can visit this NC State website or the NC States University Controllers Officefor more information on how to file taxes, or send an email request for assistance to ictquestions@ncsu.edu. Following are the documents that participants must bring when coming to the tax return help session. To file taxes electronically on a married-filing-joint tax return, both spouses must be present to sign the required forms. University statements including tuition paid for the year, scholarships received and receipts for books and other required educational expenses. Poole College accounting students have been providing this service for more than a decade, said Ernest Carraway, professor of accounting and supervisor for the college’s VITA student volunteers. No registration is required. People will be asked to check in when they arrive and service will be provided on a first-come, first-served basis. To reach the service location, use the campus-side entrance to Nelson Hall and follow the VITA signs. Nelson Hall is located at 2801 Founders Drive in Raleigh, at the corner of Hillsborough Street and Dan Allen Drive. For assistance with ADA accommodations, contact NC State’s Office of Equal Opportunity and Equity at 919-513-0574 or by email at equalopportunity@ncsu.edu.